Guitarist Julian Lage is a musician one might be tempted to call a "journeyman" if he was 58 instead of 28. Since first coming to critical notice at the age of 8 in the documentary film "Jules at Eight" (check a clip out here), he's had an amazing career including playing at the GRAMMYs at the age of 12, playing and touring with vibraphonist Gary Burton at the age of 16 and so much more. His discography features duets with Fred Hersch, Nels Cline, and Chris Eldridge, a solo acoustic guitar date, 2 with his Quintet, and, now there is "Arclight" (Mack Avenue). On this album, Lage plays only electric guitar in the company of Scott Colley (bass) and Kenny Wollesen (drums, percussion, vibraphone). It's a concise program, 11 songs in 37 minutes, and lacks for nothing. From the rumbling blues-rock of "Fortune Teller" to the avant-swing of "Activate" to the sweet ballad sounds of "Ryland", the album is filled with melodies, notable for its interactions, and although neither Colley nor Wollesen get a solo, they are an integral part of the brilliance of the music. 7 of the tracks (including the 3 listed above) are Lage originals plus there are 4 intelligent "covers. There's the Django Reinhardt inspired swing of Gus Kahn/Charles Daniels 1927 "Persian Rug" (splendid brush work from Wollesen), the lovely ballad"Nocturne" from the British composer, bandleader and journalist Spike Hughes (1908-1987), an interactive take of Irving Kahal/Sammy Fain's "I'll Be Seeing You" (Colley and Lage each take turns playing the melody while the drummer pushes them forward) and a ripping reading of W.C. Handy's "Harlem Blues", adapted from a 1920s arrangement by bandleader Willard Robison. The final track is one of several that remind this listener of the trio work of Bill Frisell, Kermit Driscoll, and Joey Baron from the 1990s. This album has such fascinating sound choices. In the midst of the rocking "Prospero", Lage's ripping guitar lines share the melody with the vibraphone. Sounds like a marimba on the opening of the appropriately-named "Stop Go Start" which brings to mind the exotica of Martin Denny as interpreted by Kip Hanrahan. Colley's rich bass lines take the lead melody on "Presley" before Lage enters and the piece takes off on the power of the guitar solo over Wollesen's charging drum work. If you enjoy the guitar work of Mr. Frisell, Brad Shepik, John Scofield, and Jeff Parker (among others), "Arclight" is for you. While Julian Lage does not sound like any of those guitarists, his rapport with Scott Colley and Kenny Wollesen will remind you of other guitar trios, ones in which all members have equal say in the presentation.And, it's great fun. For more information, go to www.julianlage.com. From the opening seconds of the first track "Terrain", it's easy to understand why the new Tom Tallitsch CD, titled "Gratitude" (his 4th for PosiTone Records), is so enjoyable. The music sounds like vintage John Coltrane, circa 1975, powerful yet accessible and played by a band that is on fire. The tenor saxophonist surrounds himself with such great players including pianist Jon Davis, bassist Peter Brendler, and drummer Rudy Royston (organist Brian Charette shows up on 2 of the 11 cuts). My affection for the amazing work of Mr. Royston is no secret and the bassist, one of the more melodic and focussed musicians, is very impressive. Davis, who worked with bassist and composer Jaco Pastorius, is a two-fisted delight, supportive and adventurous. Tallitsch provides his band with a number of strong vehicles, not only for his rich, blues-drenched, sax but also making sure to give everyone a chance to shine. Listen to how Brendler and Royston drive "Refuge", their acceleration pulling the sax and pain with them. As is his won't, the leader does not overplay. He tends to caress melodies instead of roaring through. The group's take on John Lennon's "Because" starts slowly and sweetly, building during the saxophone solo and hitting its stride during Davis's strong solo. The bass counterpoint is also quite nice. Charrette shows up on the other 2 "covers", "Gold Dust Woman" (by Stevie Nicks) and "Thank You", one of the few slow tunes on "Led Zeppelin II" (composed by Robert Plant and Jimmy Page). The folky quality of the original version can be felt on the latter track; with the addition of the organ, one hears the influence of The Band. The tenor solo near the close of the tune hews closely to the melody and one can hear the gratitude from the lyrics. Several of the cuts are really barn-burners. Beside the CD opener, "Alternate Side" fires on all cylinders without overheating. Tallitsch really digs into his solo, romping atop the active cymbal work and the fast-paced "walking" bass lines. A big dollop of funk is the basis for "Rust Belt" - Brendler's thick foundation and Royston's snappy snare work set the tone with the leader and pianist playing with great delight. Turn it up and watch the speakers shake. More of that Coltrane/McCoy Tyner power enlivens "Oblivion", the tension created by the rhythm section is thick but enjoyable. The soulful sounds of the title track serve as a good reminder that the best music is about melody, rhythm, intelligent interplay, and emotion. Jon Davis's splendid solo on "Gratitude" has so much soul as does the excellent bass work of Peter Brendler; when Tom Tallitsch enters, he plays with such ecstasy goosed on by the impeccable playing of Rudy Royston. This music sounds so good - engineer Nick O'Toole has such a knack for capturing rhythm sections while not ignoring the front line - and it feels quite good as well. With "Gratitude", Tom Tallitsch has, arguably, created the best recording of his career. Keep them coming! For more information, go to www.tomtallitsch.com or www.posi-tone.com/gratitude/gratitude.html. 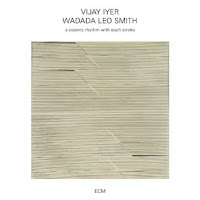 Trumpeter and composer Wadada Leo Smith and pianist Vijay Iyer have worked together in the past with Iyer a member of Smith's Golden Quartet and Quintet. The duo's new ECM release, "a cosmic rhythm with each stroke", is a powerful work with the focus in the 7-part, 52-minute, title track. Co-composed by the duo, the strikingly handsome piece is inspired by and dedicated to the visual artist Nasreen Mohamedi (1937-1990). Currently, the Metropolitan Museum of Art in New York City is celebrating her life and work (check it out here) and Mr. Iyer is currently Artist-In-Residence in the new Met Breuer (as I write this, the Gallery is in the midst of the third week of the performance series curated by the pianist. The Iyer-Smith Duo is scheduled for 3/30-31 and it's already sold out). As for the recording, the music is emotionally rich, at times incredibly quiet with faint low rumblings from Fender Rhodes and other electronics (all played by Iyer) yet there is the clarion call of Smith's trumpet rising up an around the crystal-clear piano lines. There are so many mood shifts in the suite yet none of the music is rushed. Free-wheeling clusters of piano notes jostle with rapid-fire jabs at piano and, in the final section (subtitled "Notes on Water"), the different timbres of the Fender Rhodes help the suite float to a close. The program opens with the pianist's "Passage", a perfect lead-in to the suite in that this music sets the tone. The music moves forward on the powerful chordal melody and the trumpet's long tones. The final track, "Marian Anderson", is Mr. Smith's tribute to the great singer and human rights activist. The music does not attempt to imitate the great sounds of Ms. Anderson but creates an abstract portrait of melody lines that rise and fall like breathing, the solid, somber, piano chords giving the trumpet freedom of movement. Vijay Iyer and Wadada Leo Smith, in creating "a cosmic rhythm with each stroke", not only celebrate the life and work of very impressive many of us have not heard of before but also have produced music that allows the listener to get lost in the sounds and the silences, the quiet volume and harder attack. This is timeless music that works its way into your heart and mind, bringing a sense of wholeness and peace. For more information, go to www.ecmrecords.com/catalogue/1455090156. 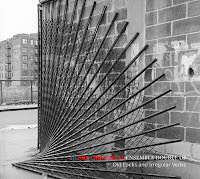 On the heels of 2015's "In for a Penny, In for a Pound", arguably one of the year's 3 best recordings, Henry Threadgill puts down his instrument but not his pen and creates "Old Locks and Irregular Verbs" (Pi Recordings). 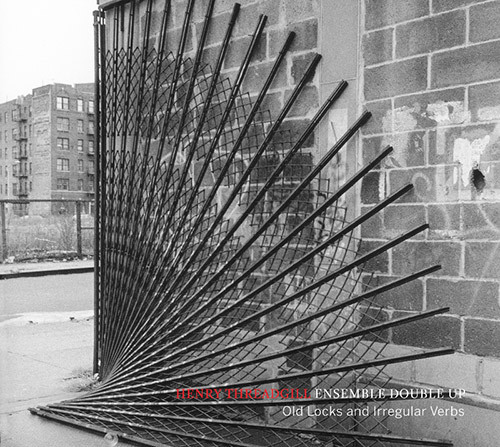 The 4-part, 47-minute, multi-sectioned composition is his tribute to his dear friend Lawrence "Butch" Morris (1947-2013) played by an septet known as Henry Threadgill Ensemble Double Up including Zooid regulars Jose Davila (tuba) and Christopher Hoffman (cello) plus drummer Craig Weinrib, alto saxophonists Roman Filiu and Curtis MacDonald (also the composer's copyist) and - surprisingly, for a group led by Threadgill - pianists Jason Moran and David Virelles. What's not surprising about this music is the importance of the rhythm section. , ,Hoffman, Davila, and Weinrib really drive the 19+ minute "Part One", giving the music depth and a sense of forward propulsion. The tuba often pairs with the pianists to hold down the bottom. Due to the compositional style of the leader, both alto saxophonists sound like Threadgill which, at times, is off-putting. But the power of the music, the swirl of saxophones, pianos, and the cello as the opening section slows down, the deep lines from the tuba, draws one in. "Part Two" starts with just cello and tuba in an off-kilter call-and-response that soon stops. There is a short full band section then Weinrib plays a melodic then forceful solo that leads directly into "Part Three." Hoffman's powerful bowed solo over the active rhythms of the drums and piano has an intense feel but, when MacDonald enters for his solo, the bottom shifts a bit, both pianists "stroll" through the background while Davila and Hoffman (now pizzicato) parry-and-joust from down below. Virelles plays a long, exciting solo (with Moran commenting now and then) before Filiu takes off on a powerful flight. About 12:30 into the 16:39 section, the band stops altogether, there's a moment of silence, then there's a series of short duets and solos which soon opens to a more rhythmical give-and-take leading into "Part Four." There's a magnificent 2 piano conversation that begins quite melodically before building in intensity. When the rest of the group enters, they play the elegiac melody from a few minutes before. Slowly, the sound surges, builds up again, higher and higher pushing upward then long tines from the saxophones followed by the tuba, fade out to....silence. Henry Threadgill has been a vital member of the contemporary music scene for over 5 decades. On occasion, his music disappeared under the onslaught of "smooth jazz" or the Young Lions embrace of hard bop but the composer persevered. Since the beginning of the 21st Century, he's been releasing impressive albums and working with the likes of Wadada Leo Smith and Jack DeJohnette. His 7 albums with Pi Recordings, 5 with Zooid, show his vitality and willingness to continue to grow and explore. "Old Locks and Irregular Verbs" is challenging, satisfying, and original music - we live in such strange times yet recordings such as this gives one hope and joy. For more information, go to pirecordings.com/album/pi64. Singer, songwriter, improvisor, and poet Katie Bull will be in Middletown this Friday night to perform in the cozy performance space of The Buttonwood Tree, 605 Main Street. She and the Katie Bull Group Project will present the entirety of her new CD, "All Hot Bodies Radiate" (Ashkokan Indie). The 13-song, 65-minute collection features all original material save for a lovely reading of Rodgers & Hammerstein's "If I Loved You" and a somewhat macabre reading of "Ding Dong! The Witch is Dead." The musicians on the CD are the ones who'll be onstage and they include Landon Knoblock (piano, electronics, vocals), Jeff Lederer (tenor and soprano saxophone), plus the splendid rhythm section of bassist Joe Fonda and drummer/chapeau specialist George Schuller. The album, Ms. Bull's 5th as a leader or a co-leader, blends poetry, wordless vocals, "free jazz", swing, folk and so much more. The musicians swirl, wail. rock, and add so much support. The variety of sounds the quintet creates is quite impressive and the music often moves in unexpected directions. The music starts at 8 p.m. For more information, go to buttonwood.org. To find out more about Ms. Bull and her many projects, go to www.katiebull.com. Here's the Katie Bull Group Project in action from last summer's Monday Night Jazz Series. 'Tis week 2 of the Spring Concert Series at Firehouse 12 in New Haven and the venue welcomes the Ralph Alessi Baida Quartet. Alessia, a critically-acclaimed trumpeter and composer, has worked with Fred Hersch, Ravi Coltrane, Steve Coleman and many others as well as being the founder and director of the School For Improvisational Music in Brooklyn, NY. Mr. Alessi and the Quartet - Gary Versace (piano), Drew Gress (bass) and Nasheet Waits (drums) - are touring in support of their new ECM album "Quiver." This is the music that has so many different influences, touching on jazz, classical, and more. The rhythm section plays so freely but never loses the basic pulse while the trumpeter's melodies offer so much for the musician to interact, create harmonies and impressive solos. Ralph Alessi Baida Quartet will play 2 sets - 8:30 and 10 p.m. - for more information, go to firehouse12.org. Click on this link to hear the band in full voice. The Side Door Jazz Club in Old Lyme welcomes saxophonist and composer Ravi Coltrane in concert on both Friday and Saturday. Mr. Coltrane is touring with a new ensemble he calls The Void which includes Robin Eubanks (trombone), Jelani Bauman (trumpet - Friday night only), Glenn Zaleski (piano), Hartford-native Dezron Douglas (bass), and E.J. Strickland (drums) - Ralph Alessi takes over the trumpet chair on Saturday night. Mr. Coltrane has not released an album since 2012's "Spirit Fiction", his first album on Blue Note Records. 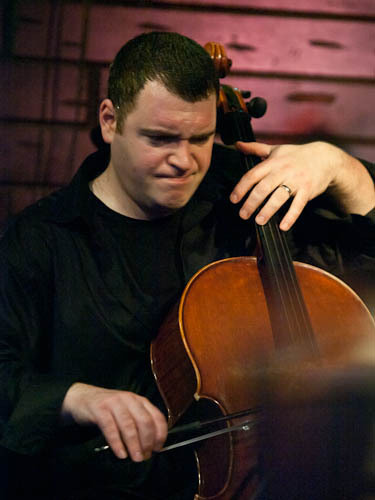 He had been touring regularly with his Quartet but has written new music for this expanded ensemble. The Old Lyme audience will be among the first to hear this repertoire. Doors open at 7:30 p.m. on both nights with the first notes at 8:30. For more information, call 860-434-0886 or go to thesidedoorjazz.com. Musical inspiration can come from so many different places. 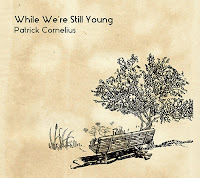 For saxophonist, flutist, and composer Patrick Cornelius, the music on his 5th album as a leader, ""While We're Still Young" (Whirlwind Recordings) had as its "seeds" the poems of A.A. Milne that the Cornelius read to his young children before they went to sleep. Before you start to think this is "kids" music, note the ensemble arranged for this production. Besides Cornelius (alto and soprano saxes, flute), there is John Ellis (tenor sax, bass clarinet), Jason Palmer (trumpet), Nick Vayenas (trombone), Miles Okazaki (guitars), Gerald Clayton (piano), Peter Slavov (bass), and Kendrick Scott (drums). As I have written in reviews of earlier Cornelius CDs, he concentrates on melody and, like composers for larger ensembles such as Bob Brookmeyer, Gil Evans, and Maria Schneider, the solos grow naturally from the melodic material. With the extra colors available in this album's musical palette, this material has more depth. The program is divided into 6 "Movements", each taking its title from a Milne poem . The album starts with "Sand Between The Toes"; the opening section is a lovely prologue featuring the brass, alto sax and bass clarinet. Scott's propulsive leads the band in, pushing the handsome melody, played initially by alto and guitar, forward. The different voices work around the theme until all drop out for a piano melody rises up and over the rhythm section (nice counterpoint from Slavov as Scott pushes forward.) That's followed by solos from Cornelius, Vayenas, and Okazaki before a return to the opening melody. One of the more intriguing aspects of this music is that this is truly ensemble music. Yes, each track has solos; still each instrument has its voice in the story. Okazaki, Palmer and Cornelius (soprano) each get to tell the story on "Water Lilies" (nice bow to Erik Satie right before the piano returns the song to the guitarist to conclude). "Jonathan Jo" jumps atop a modern start-and-stop "swing" beat before Ellis (on tenor) has a playful solo that leads into a snappy and funky interchange for the ensemble before Clayton and Vayenas dig into their solos. Lots to love on this album, from the Thad Jones' inspired "Lines and Squares" to the sweet sway of "The Invaders" (great section work) to the evening prayers that inspired the final track, "Vespers". If you really sit and listen, you can hear just how well these voices fit together. There are many moments when it seems like more than 8 people are playing yet I do not detect obvious overdubbing. "While We're Still Young" is a joy from beginning to end. 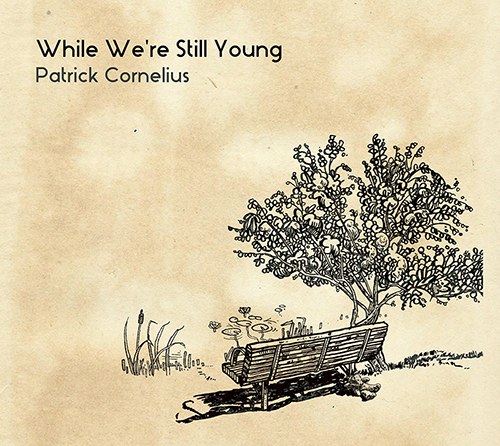 Patrick Cornelius, whose recorded music had always seemed mature, takes a giant step forward with this project. Find the AA Milne poems, find the wonder and the exhilaration within, and then do the same with this music. Those elements are there and so much more. To find out more about this project and its participants, go to www.whilewerestillyoung.net. The producer, along with Patrick Cornelius, of this album is composer, arranger, and educator Kyle Saulnier. He teaches, as I do, at Quinnipiac University. I asked him about his role on this project. He responded "I met Patrick in graduate school at the Manhattan School of Music, where we were classmates and we've been friends since. I got involved pretty early on as a sounding board for some of Patrick's compositions for the record, I think he was looking for some general feedback from a composer (though he's a spectacular writer, he hardly needed my input). He asked me to co-produce the recording since I was already familiar with the project and the charts themselves, and he was looking for some directorial assistance in the studio since he was also playing, which can limit one's objectivity in the studio." Patrick chimed in with "Kyle is selling himself way short here. Not only did he give me actual arranging lessons (to help me remember many principles that I had forgotten lo these many years since I last wrote for a medium-sized ensemble), but he also GREATLY assisted me in the sibelius copy work when my scores were completely lost a month before the premiere due to an unfortunate accident involving my laptop and a full mug of coffee. He also helped me rehearse the ensemble so that I could concentrate on being a "sideman" and provided invaluable feedback and coaching during the record date. I basically gave him carte blanche to make decisions regarding takes, punches, do-overs, etc on the day of the recording for this same reason." Firehouse 12, 45 Crown Street in New Haven, begins its Spring 2016 Concert Series this Friday evening (3/18) with one of the rising stars of creative music, cellist Tomeka Reid and her Quartet. Ms. Reid is one of the busiest musicians around, playing alongside flutist Nicole Mitchell, with trumpeter Taylor Ho Bynum, drummer Mike Reed and many other contemporary players. Thirsty Ear Records issued Ms. Reid's debut as a leader late last year and the musicians on the recording - guitarist Mary Halvorson, drummer Tomas Fujiwara, and bassist Jason Roebke - will be onstage for this gig. The self-titled recording made a number of critics "Best-of" lists last year. Filled with inspired playing, intelligent compositions, and challenging sounds, the album builds on the cello-as-leader albums released by Oscar Pettiford in the 1950s and the work of Abdul Wadud in the 1970s and 80s. There are 2 shows - with separate admission charges -with the first at 8:30 p.m. and the second at 10 p.m. For more information, go to firehouse12.com or call 203-785-0468. Also on Friday night, The Side Door Jazz Club in Old Lyme welcomes guitarist and composer Mike Moreno for 2 shows. The native of Houston, TX, just issued his 5th album as a leader, "Lotus", on drummer Kendrick Scott's World Culture Music label featuring 9 Moreno compositions played by the splendid band consisting of Aaron Parks (piano, Rhodes), Doug Weiss (bass) and the formidable Eric Harland (drums). For the Old Lyme shows, the fine music created for the CD (and more) will be interpreted by the excellent pianist Jon Cowherd (Brian Blade's Fellowship Band), bassist Rick Rosato, and the energetic drummer E. J. Strickland (one of several times he will play at The Side Door over the next several months). The doors open at 7:30 p.m. with the first notes filling the air at 8:30. For more information, go to thesidedoorjazz.com. On Saturday night, Jan and Ken open the Door to pianist Jeb Patton. Patton, a Maryland native, graduated from Duke University an went on to study at the Aaron Copland School of Music in New York City. He's played with a large number of vocalists and bands, including those led by Etta Jones, drummer Winard Harper, and saxophonist Antonio Hart. I've seen him several times in the Heath Brothers Band (alongside Jimmy and "Tootie" plus bassist David Wong.) The pianist has great "chops", can swing with the best of them and has a tender way with a ballad. He's bringing Mr. Wong and drummer Pete Van Nostrand, both of whom appear on his latest album, "Shades and Tones", which was issued last year on saxophonist Cory Weed's Cellar Live record label. 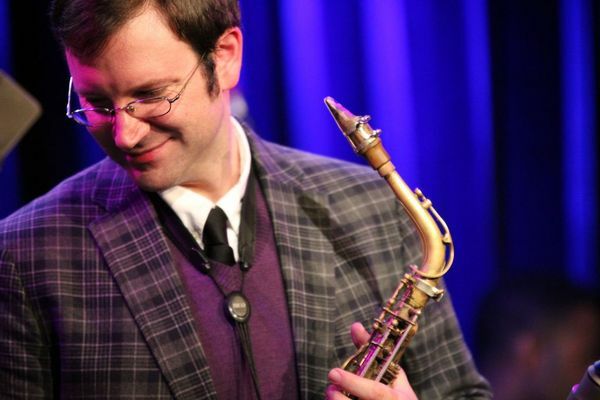 The Jeb Patton Trio takes the stage at 8:30 p.m. For reservations, call 860-434-0886. Next weekend, saxophonist and composer Ravi Coltrane will play both Friday and Saturday nights while on Thursday April 7, the incredibly funky organist Dr. Lonnie Smith will conquer the CT Shoreline. Get your reservations soon! 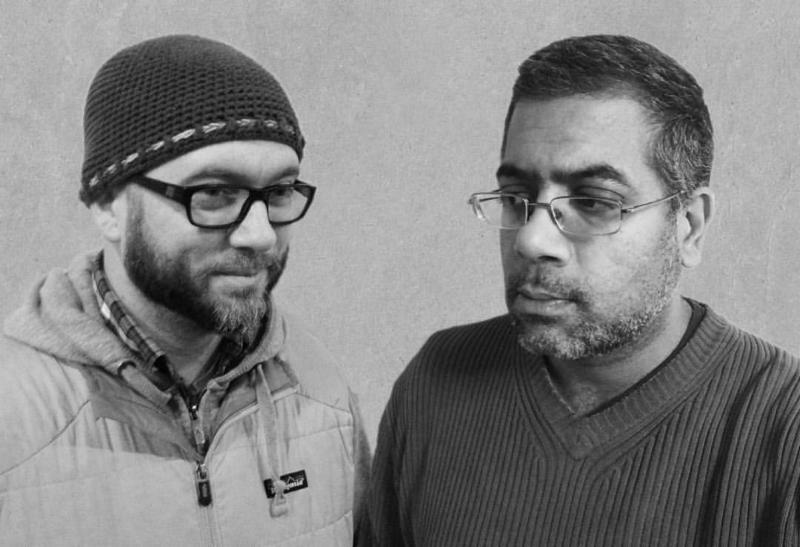 Also this Saturday night, the Uncertainty Music Series presents the duo of Ross Hammond (12-string guitar) and Sameer Gupta (tabla drums) will perform in the performance space of Never Ending Books, 810 State Street in New Haven. The duo has just released "Upward" (Prescott Recordings), an album of (mostly) improvisations from a live date recorded last year in Sacramento, CA, (where Mr. Hammond resides). A review of the CD is below. For more information about the concert and directions to Never Ending Books, go to uncertaintymusic.com. Ross Hammond and Sameer Gupta - "Upward" (Prescott Recordings) - In the mid-to-late 1960s, there were a small group of guitarists who combined trance music elements, South Indian music forms, and American folk music to create fascinating sounds. Inspired by John Fahey, people such as Robbie Basho and Leo Kottke rose to public acclaim and inspired several generations to experiment with various sounds. Fast forward nearly 5 decades to this inspired duo. 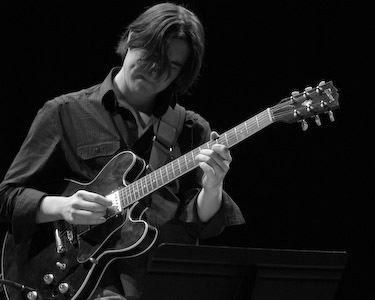 Guitarist Ross Hammond plays music that ranges from "free-form noise" to acoustic gospel and folk to contemporary jazz, playing alongside musicians such as reed master Vinny Golia, drummer Grant Calvin Weston, bassist Liza Mezzacappa, and drummer Scott Amendola and Alex Cline (and many more). Tabla player Sameer Gupta is best known for his work in pianist Marc Cary's Fusion Trio (in which he plays a traditional traps set plus Indian drums) and as curator of plus a performer in the Brooklyn Raga Massive. "Upward" is a collection of tunes that seem to melt one into the other. There are handsome melodies, fiery interplay, moments of solemnity interested with moments of pure joy (the joy that comes from 2 friends making music together.) The blend of 12 string guitar and table drums is appealing from the opening seconds of the first song (the title track). The solid bass tone of the guitar bounces off the lower table drum sound while the ringing tones of the higher guitar strings create a lovely blanket for the dancing fingers of Gupta. The propulsive rhythm of the drums on tracks such as "For Chris Ferreira" and "Being and Becoming" makes this music exciting while the hypnotic quality of the 12 string guitar soothes on "Farm to Table (for Ken Filiano)", "Gravity House", and "When Kesslers Rage." Hammond uses his slide to great effect on several tracks, especially on the last cut "Being and Becoming." It's easy to close one's eyes and get lost in the melodies and interactions on "Kenyatta, The Professor and the Redeemer", to follow these 2 musicians as they create their soundscapes, seemingly breathing as one. 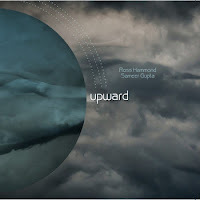 Like his 2015 solo recording "Flight", Ross Hammond has again given an avid listener music that constantly changes shapes but never loses its melodic center. The addition of tabla player Sameer Gupta not only opens this music up but also is the duo's constant heartbeat. Some might say that the is recording is a bit of "throwback" to those days of Fahey, Basho, Kottke, and others; I say "really, who cares?" Good music is good music, no matter what era. Give a listen, a close listen, and hear if you agree. For his 8th album as a leader (and 2nd for PosiTone Records), guitarist and composer Will Bernard went into the studio with a crackling rhythm section (drummer Allison Miller and bassist Ben Allison), organist Brian Charette, and saxophonist John Ellis. While Bernard is often found in situations where he is called on to be "funky", his PosiTone recordings have given him the space to expand. Ms. Miller is an excellent addition (Rudy Royston powered the previous disk), a wonderfully subtle drummer who knows how to drive a band but can also create a shimmering world of sound. Her melodic take on the title track is quite attractive as is her work on the ride cymbal on "Redwood (business casual)". Her dancing brushes on "Homebody" set the tempo and the mood for Ellis and Bernard. Notice how she changes her approach under the organ and then the tenor solo on "Full Sweep." Brian Charette is a plus to any recording, surprising the listener with his many tones and good background work. He can roar and whisper, often in the same cut - listen to his swells behind the guitar solo on "Homeward Bound." His solo on "Full Sweep" is short but so exciting as he romps over Ms. Miller's dancing rhythms. The presence of John Ellis enlivened the first PosiTone CD and does the same here. His liquid lines an warm tones on pieces such as "Next Guest" and "Homebody" mesh well with Bernard's excellent rhythm guitar and counterpoint. He can "rock out" as well; his bluesy frolic over the guitarist's "wah-wah" support on the CDs frisky opener "Happy Belated" is wonderfully funky. Will Bernard is a guitarist who rarely, if ever, wastes notes. On "Out & About", he cedes a good amount of the solo space to his talented band. Yet, he's there supplying supportive chords and lively melodies. When the guitarist "steps out", his clean, quite clear, tone and well-formed solos steer clear of cliches and often are quite adventurous. Best of all, Bernard can write compelling melodies, even on "groove-based" tracks. It's a pleasure to listen to such mature music and have such a good time doing so For more information, go to www.willbernard.com. 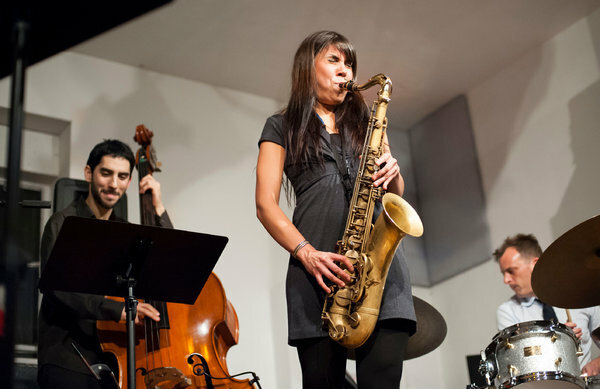 Tenor saxophonist and composer Melissa Aldana has been involved with music from a young age. She started out by watching her father - a jazz saxophonist - teaching students in their home in Chile. Starting out on alto and switching to tenor after hearing Sonny Rollins (she was given her grandfather's Selmer Mark VI, the instrument she still uses today), Ms. Aldana came to the US to continue her education at the Berklee College of Music in Boston, MA, won the 2013 Thelonious Monk International Jazz Saxophone Competition, has been mentored by tenor great George Coleman, and now tours and records with her trio. Her 4th CD as a leader, "Back Home" (Wommusic), is her second straight release in a trio setting. Bassist Pablo Menares (who played on her 2014 Concord release) is now paired with drummer Jochen Rueckert (he replaces Francisco Mela). The title refers to Ms. Aldana returning to the music of Sonny Rollins for inspiration. The lessons of "Live at The Vanguard" and "Freedom Suite" can be heard in how this is a "collective", not just a saxophone soloist with rhythm section. While the leader contributes 4 compositions, the bassist and drummer both contribute 2 (there's also a lovely tenor sax-bass duo on Kurt Weill's "My Ship"). More than anyone, Ms. Aldana's sound reminds me of Charles Lloyd, the lightness of her delivery, her phrases that sweep and flow over the rhythm section but never overwhelm the piece. Yes, one can hear passages that have heft (her solos on "Alegria" and on the title song) yet this music is more exploratory than exclamatory. Rueckert's "Obstacles" jabs and darts, the saxophone skating atop stop-start-run of the rhythm section. Menares' thick bass tines support the saxophone melody on the bassist's "Desde La Lluvia" as the drummer colors the proceedings with his splendid cymbal work. Like the most compelling contemporary music, "Back Home" looks backwards and forwards, never sounding dated or forced. The best tracks seem to move like dream passages. "Time" (composed by Ms. Aldana) opens with a bass solo before the saxophone melody enters, like a quiet tango. The bass counterpoint, the brushwork, the saxophone phrases that away from the melody and back again, all that and more make the song so attractive. The bassist also leads the way in on his ballad "En Otro Lugar", a piece that moves easily forward on Reuckert's gentle yet insistent forward motion. The title track comes at the end of the album and certainly has the hallmarks of Sonny Rollins in its playful melody, stop-and-go rhythms, and the solid bass lines (reminiscent of the 1957 "Way Out West" classic). Ms. Aldana swings mightily, Menares does some serious "walking", and Reuckert propels the Trio forward with obvious delight. "Back Home" is a treat from start to finish. Melissa Aldana plays with great confidence throughout, displaying both a thoughtful as well as playful side. Her influences continue to be incorporated into her own "voice" both as a player and composer. And, with such top-notch associates, this music is certainly stellar. For more information, go to www.melissaaldana.com. To quote "Fiddler on the Roof", "If I were a rich man.....", I'd rent a room at The Old Lyme Inn on Thursday and stay through the weekend. I'd bring a few books, several of the CDs piled on the table for review, and hope that the sun is shining so as not to rule out a walk on the beach. In the evening, I'd park myself at a table at The Side Door Jazz Club and revel in the 3 shows scheduled for the weekend. First up is the return of the Fred Hersch Trio (pictured above). 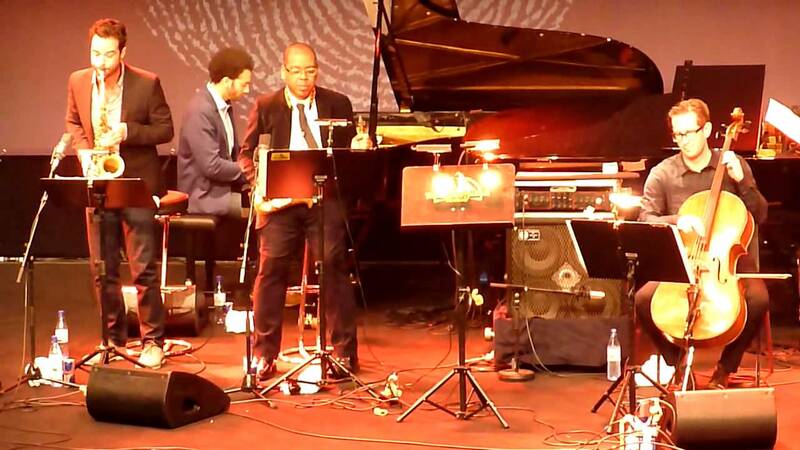 Pianist and composer Hersch, joined by long-time companions John Hébert (bass) and Eric McPherson (drums), will present a wide range of compositions from T. Monk to Broadway to familiar "standards" to Mr. Hersch's originals. This trio's interactions seems to be wired into the members' DNA, taking chances with the music that other ensembles would be scared to attempt. Doors open at 7 p.m. with the first set at 8. Call 860-434-0886 now to make a reservation. On Friday, the Mark Zaleski Band takes The Side Door stage and will treat the audience to the leader's eclectic program of jazz and more. The saxophonist and composer, brother of pianist Glenn Zaleski (who's played at the club and other CT venues), leads a group that features his brother as well as Jon Bean (tenor saxophone), Mark Cocheo (guitar), Danny Weller (bass), and Oscar Suchanek (drums). The group's repertoire ranges from originals to smartly arranged "pop" classics to standards, all played with passion, emotion, and intelligence. The Zaleski Band begins its first set at 8:30 p.m.
On Saturday, the Door opens to admit pianist Orrin Evans, a frequent visitor to the Old Lyme venue. Like Fred Hersch, Orrin Evans has become a master by always taking chances, by digging into compositions and getting the most out of the songs, himself and his collaborators. Joining him this weekend will be drummer Mark Whitfield, Jr. (another frequent guest at the Side Door) and the fine bassist Vincente Archer. Leave most of your expectations in the car (or your room at the Inn, as the case may be), but do expect to be excited, challenged, soothed and, most of all, entertained. Dan Weiss Sixteen: Drummers Suite (Pi Recordings) - A glance at the back of the CD cover and you see that the 6 of the 7 pieces of this Suite are named for great jazz drummers. In order, the tracks are "Elvin", "Max", "Tony", "Philly Joe", "Klook", and "Ed" - most people recognize Messrs. Jones, Roach, Williams, and Jones (no relation) but may need to prompted for Kenny Clarke and Ed Blackwell. Do not expect an album of drum solos (although Weiss's propulsive playing is front and center in the mix) but it's a pleasure to see where the composer takes the music. The ensemble features Thomas Morgan (bass), Jacob Sacks (piano), Matt Mitchell (keyboard, piano, glockenspiel, organ, and vibraphone), Miles Okazaki (guitars, vocals, percussion), Stephen Cellucci (percussion, vocal percussion), Katie Andrews (harp), Anna Webber (flute, alto flute), David Binney (alto saxophone), Miguel Zenon (alto saxophone), Ohad Talmor (tenor saxophone), Jacob Garchik (trombone, tuba), and Ben Gerstein (trombone) plus the voices of Judith Berkson, Lana Is, and Jen Shyu. The various vocals textures may remind some listeners of Steve Reich or Meredith Monk while the forward direction of all tracks, the melodies, and the fascinating arrangements have myriad influences (from Lawrence "Butch" Morris to Muhal Richard Abrams to Olivier Messaien and beyond). As you sit and listen (and you should listen to the entire album in one sitting), the music goes in so many directions. Let it flow, listen to how the voices interact with the brass, how the piano, guitar, and electronic keyboard rise out of the mix, the saxophones battle for space, the drums leading and/or propelling the ensemble, and how this music rarely sounds cluttered. The last 3 tracks, to my ears, are the most impressive. From the surprising tabla drum opening of "Philly Joe", a piece that unfolds into a multi-sectioned experience, to the forceful and mysterious movement of "Klook" (the brass "chorale", the rapid-fire drumming, the impressionistic piano solo), this music insistently moves forward, challenging us to follow. The final track, "Ed", opens with a wondrous melody, shared by the saxophones, voices, brass, keys and bass (a beautiful 3+ minute sonic excursion), before moving into a 2-piano, bass and drum reconstruction of that melody. Layers of voices, reeds, and brass are soon added to the mix with the piece slowly but impressively moving towards an incredible climax but does not end there. The "reconstructed" melody, now played by glockenspiel, acoustic guitar, and skittering drums, takes the listener down to the final seconds with the leader quietly bringing the music to rest. 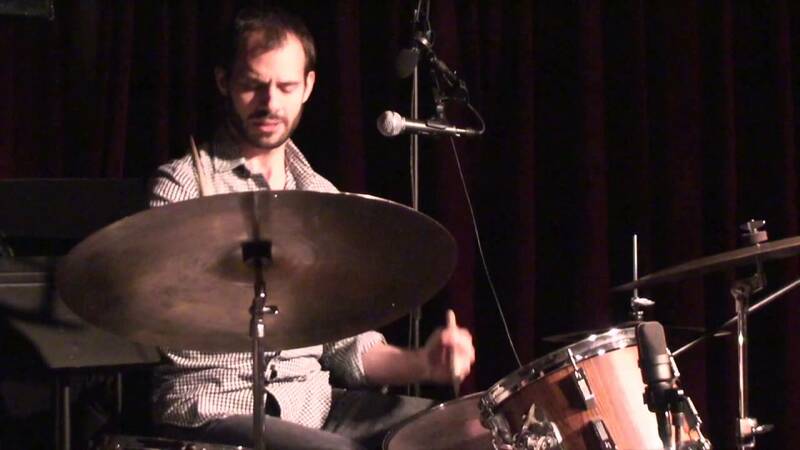 Dan Weiss "Sixteen: Drummers Suite" is challenging and so rewarding. Way too many people talk and write about the dearth of creative music; I'm not sure what planet they're inhabiting but recordings like this one confirms my belief that music is quite alive and thriving. For more information, go to pirecordings.com/album/pi63 and www.danweiss.net. Susie Arioli - "Dearest Darling" (Spectra Musique) - While I was working my way through Ms. Arioli's new album, appropriately titled "Spring", I came across this track. Being in the car on the highway, the song certainly sounded familiar. Pianist Don Thompson clothed the tune in New Orleans clothing so it took a long moment for me to remember who had originally created or recorded the song. "Dearest Darling" is the work of Elias McDaniel, the rock legend who performed as "Bo Diddley" and recorded this song in 1957. This version is so bright, full of joy (like the original, which is one of the composer's most passionate vocals), and jumps out of the speakers. If you go to susiearioli.com/albums/spring/, you'll hear the opening 70 seconds and perhaps you'll see why the track made me smile so wide.